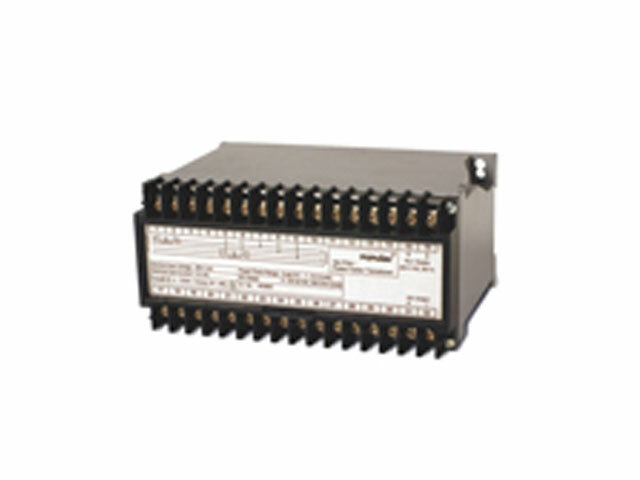 The input Voltage and current signals are scaled down through interposing and cur rent transformers. The scaled down voltage signal proportional to vcosØ. This signal is divided by the voltage signal to get DC Voltage linearly proportional to Power Factor. 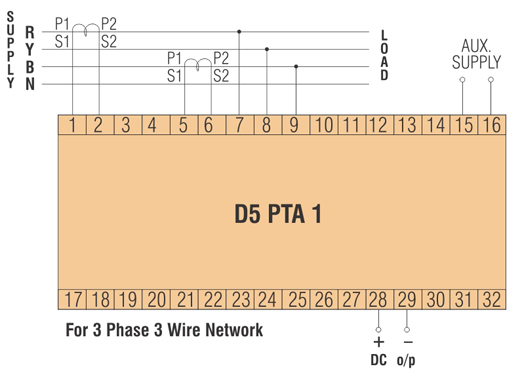 This output is further processed to provide DC Voltage / Current output signal. The Transducer is suitable for balanced load conditions only, when used on 3 Phase 3 Wire, 3 Phase 4 Wire electrical networks.